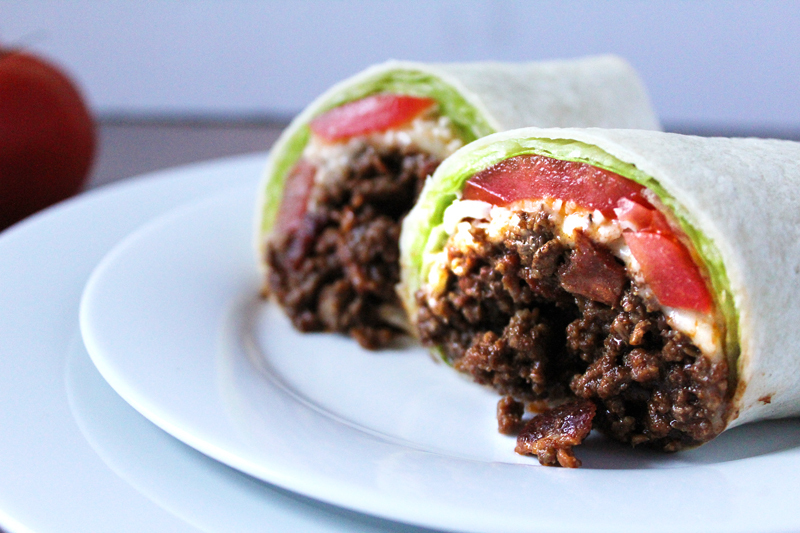 This BBQ bacon beef wrap screams messy meal for a man. And, it was. My husband absolutely devoured this wrap. I, on the other hand, am trying to stay away from beef as much as possible. That being said, it did not stop my passion for cooking something that I knew my husband would love. 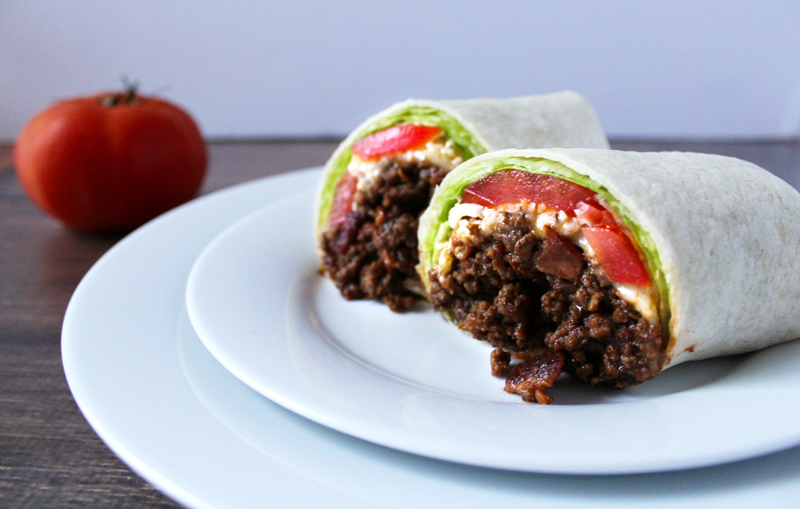 This wrap has many of his favorite things inside: bacon, beef, cheese, lettuce, tomato, and BBQ sauce. For those of you who love watching your husband enjoy a meal that you prepared special for him, you will understand how I felt tonight while I watched my husband scarf down this BBQ bacon beef wrap. I invented this dinner last minute because we were supposed to make BBQ bacon cheese burgers tonight, but….it was thundering/lightening/raining, so grilling was out of question. And, we didn’t have any hamburger buns, but we still had tortillas leftover from our chicken fajita lasagna the other night. That is how tonight’s dinner came to be. 1. On the stove, cook the bacon about half way. 2. Then, add the beef to the same pan as the bacon. 3. Once the beef is about half way cooked, add the BBQ seasonings. 4. Continue to let everything cook. Then, add the BBQ sauce. 5. Next, it is time to wrap everything up, starting with: tomato, lettuce, cheese, and then the bacon/beef meat. 6. Wrap tight, and enjoy!